Jim Colemon (right) watches Bobby Jones pound away on the keys. 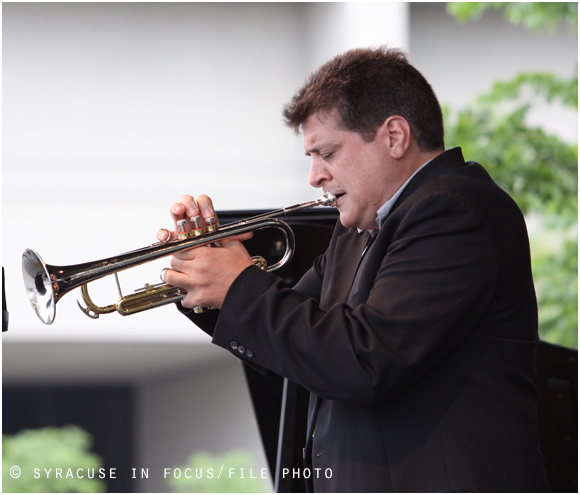 They were part of the Bobby Militello Quartet. 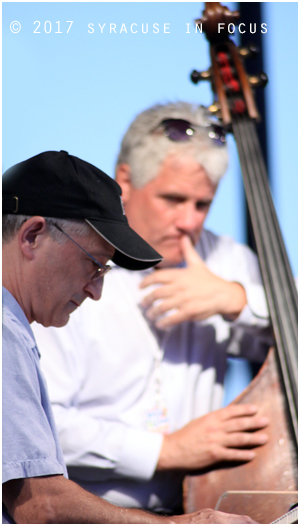 Bob Holt teamed with Chet Catillo on the main stage on Saturday evening. 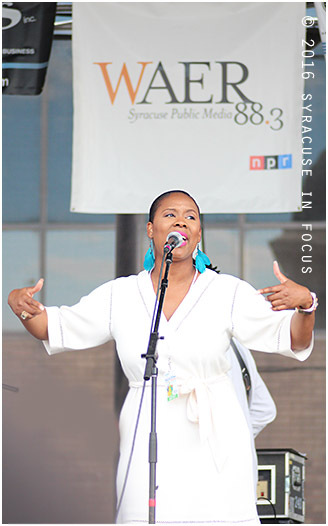 There was a certain stylish vendor vibe outside the World Beat Tent for the Northeast Jazz & Wine Festival. 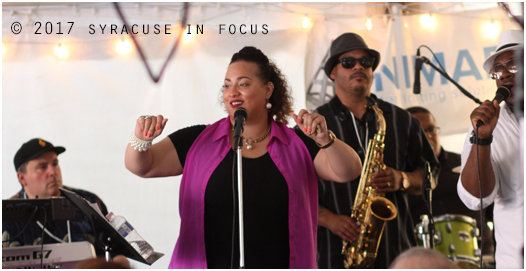 Jazz Brown sang with Root Shock in the World Beat Pavilion. 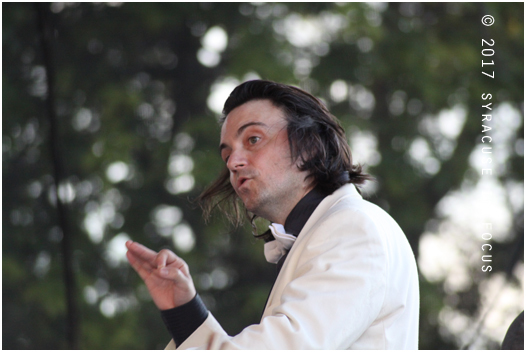 Christian Capocaccia kept time for Symphoria and special guest Joe Magnarelli. 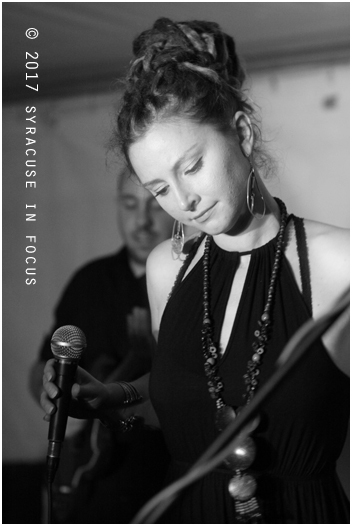 Wendy McIntyre performed in Syracuse last week (with Scott Allen & 3rd Scenario). 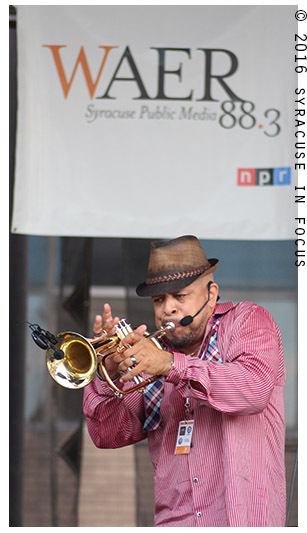 Scott “Bugs” Allen is a one-man band of sorts. 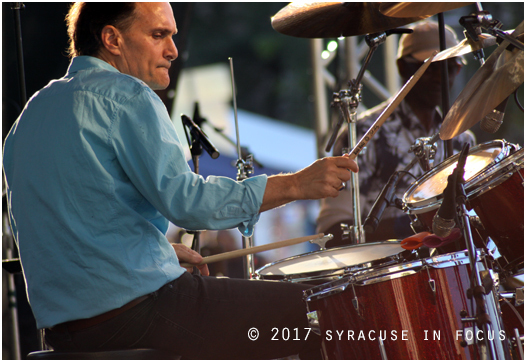 If you include vocals, he played about eight instruments during his evening set at Saturday’s Northeast Jazz & Wine Festival. 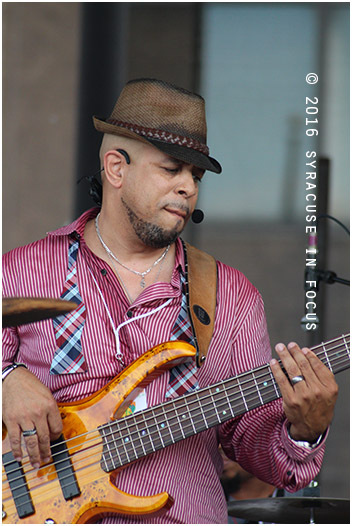 He may be categorized as a jazz man, but at times his on-stage energy nearly reached Fishbone levels. 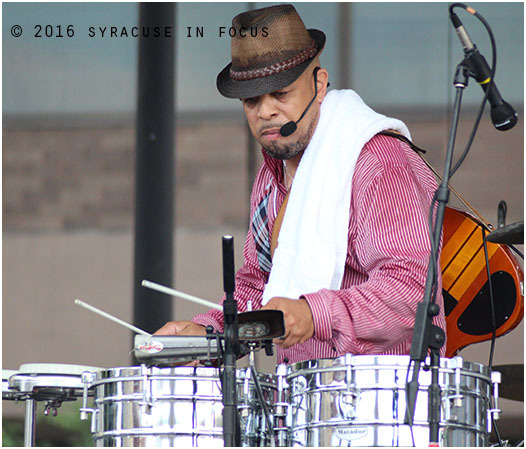 He goes quickly, but seamlessly from horn to drums to bass, and despite some technical difficulties during the finale, he was able to send soulful shock waves thru Clinton Square with tributes to Prince and Stevie Wonder. Allen wears many hats(literally had at least three buckets with him), but his sartorial splendor (fuchsia shirt, fuchsia loafers and patterned bow tie) never outshines his wonderful musicianship. 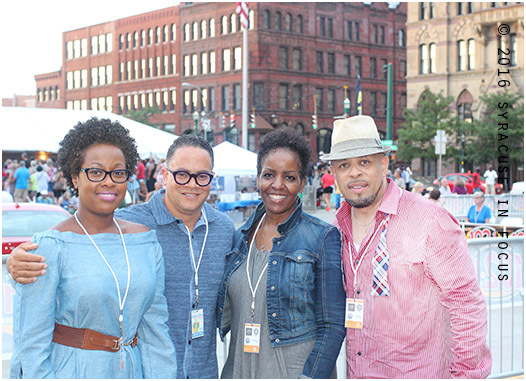 The vibes were the perfect precursor to the upcoming Jazz in the City series (Aug-Sept). Allen told the crowd that Larry Luttinger and Joe Lee took care of his 3rd Scenario collective so well in 2014 that his return was imminent. 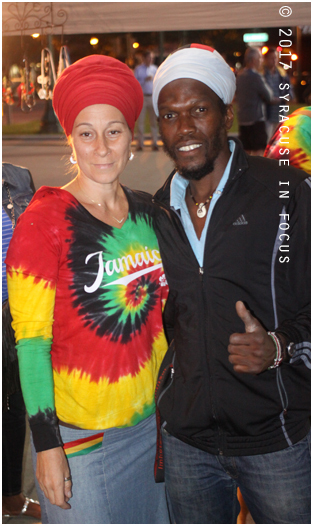 For the sake of our burgeoning music scene, we hope he comes back to the ‘Cuse again. And again. And again. Allen really got the crowd involved when he did a Prince tribute during his set. Allen and his wife posed for a photo with WAER FM-88 GM Joe Lee and his wife after the Saturday evening set.